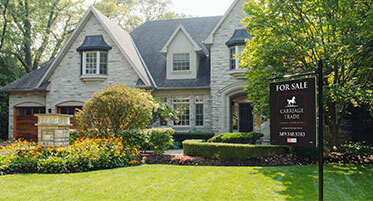 Canada’s spring luxury real estate market is well underway in Canada’s largest cities. While sales in Greater Vancouver and the Greater Toronto Area (GTA) are significantly down in the first four months of the year, luxury home prices have remained relatively resilient, according to Royal LePage. During the first quarter of 2018, luxury detached home sales decreased 67.9 per cent year-over-year. However the decline was significantly more modest when compared to the same period in 2016 (-18.1%). In the first quarter of 2018, luxury condominium sales decreased 28.2 per cent year-over-year compared to the same period in 2017, while almost twice as high (90.6%) compared the same period in 2016. The median price of a luxury detached home in the Greater Montreal Area saw a significant increase of 9.1 per cent year-over-year to $1,569,515 in the first four months of 2018 when compared to the same period in 2017, while the median price of a luxury condominium increased 3.9 per cent year-over-year to $1,247,833. When comparing luxury sales from January to April of 2018 against the same period in 2017, luxury detached homes saw a moderate increase, growing 3.2 per cent in the Greater Montreal Area. Similarly, luxury condominium sales increased 2.2 per cent during the same period. Despite an ongoing, yet marginal, increase in foreign buyer activity in Montreal, Paint said that the luxury real estate market is still largely driven by local buyers. She noted that with limited downtown luxury detached home inventory, Montreal’s West Island is seeing increased interest from Asian buyers looking at waterfront luxury properties. The area provides them with additional value for their dollar, whether it be greater living space and land, a view of the water, neighbourhood quietness or relative proximity to the city’s core. Looking ahead to the first four months of 2019, the median price of a luxury detached home and condominium in the Greater Montreal Area are forecast to increase 5.0 per cent and 3.0 per cent year-over-year to $1,647,991 and $1,285,268, respectively. Luxury houses in Calgary showed the beginning signs of recovery as the median price of a luxury detached home increased 0.6 per cent year-over-year, rising to $1,990,184 by the end of the first four months of 2018. Meanwhile, the median price of a luxury condominium decreased 6.1 per cent to $926,620 during the same period. Hripko added that there is an increase in demand from executives relocating from Greater Vancouver. Spacious luxury properties and the ability to see their money go further has made Calgary attractive especially as its economy improves. Although sales in Calgary’s luxury real estate market are down considerably from 2014, luxury detached home sales saw a 6.3 per cent increase in the first quarter of 2018 compared to the same period in 2017, while luxury condominiums decreased 1.6 per cent. However, when examining sales in the first quarter of 2018 compared to 2016, detached luxury home and condominium sales increased 47.8 per cent and 33.7 per cent, respectively. When looking to the 2019 spring market, the median price of a luxury home in Calgary is forecast to increase 2.0 per cent year-over-year to $2,029,988, while the median price of a luxury condominium is forecast to decrease 4.0 per cent to $889,568 in the first four months against the same period in 2018. Hripko added that weather was also a significant factor delaying this year’s spring market in Calgary. “We are seeing several positive signs of healthy interest in the lower end of the luxury market, which we expect will result in improved year-over-year sales in the next few months,” concluded Hripko. Ottawa’s luxury home market posted healthy gains as the median price of a luxury detached home increased 6.3 per cent year-over-year, rising to $1,537,107 for the first four months of 2018, while the median price of a luxury condominium increased 4.0 per cent to $1,007,598, during the same period. “While overall price appreciation in the luxury home market is in the single digits, price appreciation of luxury detached homes in select pockets, such as Westboro and the Glebe, soared over the past few years,” said Charles Sezlik, sales representative, Royal LePage Team Realty. Sezlik added that ongoing price appreciation is the result of pent up demand created prior to the change in government, when interest was strong but consumer confidence was low due to cutbacks. Even though luxury detached home sales in the first four months of 2018 rose 9.1 per cent compared to the same period in 2017, there were considerably fewer luxury condominium sales. When looking to the 2019 spring market, the median price of a luxury home in Ottawa is forecast to increase 5.0 per cent year-over-year to $1,613,962, while the median price of a luxury condominium is forecast to increase 3.0 per cent to $1,037,826. Sales data compiled by Royal LePage through the Toronto Real Estate Board; luxury sold listings with a lower threshold of $3,046,206 and $1,454,446 for detached homes and condominiums, respectively, in the Greater Toronto Area. Sales data compiled by Royal LePage through the Greater Montreal Real Estate Board; luxury sold listings with a lower threshold of $1,187,118 and $993,259 for detached homes and condominiums, respectively, in the Greater Montreal Area. Sales data compiled by Royal LePage through the Real Estate Board of Greater Vancouver; luxury sold listings with a lower threshold of $4,630,147 and $1,926,084 for single-family homes and condominiums, respectively, in Greater Vancouver. Sales data compiled by Royal LePage through the Ottawa Real Estate Board; luxury sold listings with a lower threshold of $1,358,179 and $900,911 for single-family homes and condominiums, respectively, in Ottawa.